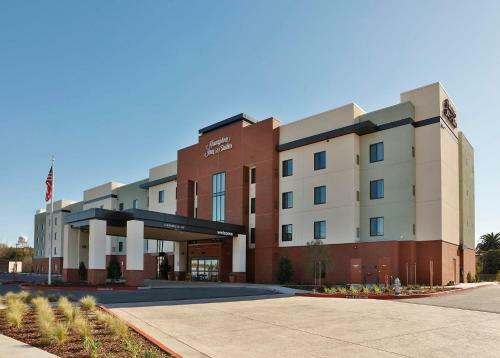 Situated in Sacramento, Hampton Inn & Suites Sacramento at CSUS offers air-conditioned rooms with free WiFi. 6 km from Sacramento Convention Center, the property is also 6 km away from California State Capitol and Museum. The property features a 24-hour front desk. A continental breakfast is available daily at the hotel. California Capitol Building is 7 km from Hampton Inn & Suites, while Fox & Goose Public House is 7 km away. The nearest airport is Sacramento Airport, 21 km from the accommodation. the hotel Hampton Inn & Suites Sacramento at CSUS so we can give you detailed rates for the rooms in the desired period.